Billions of prescription drugs and supplements have been sold in the United States. With this amount of drugs and supplements in circulation, regulation is crucial to protect the public, especially since it is estimated that 5 percent of hospital admissions — over one million per year — are the result of negative drug reactions, and about 200,000 Americans die from drug-related adverse reactions each year. If you or someone close to you has suffered due to a dangerous or defective drug, the attorneys at the Finz firm are here for you. The firm has successfully handled numerous pharmaceutical liability lawsuits for clients throughout New York and nationwide. The Finz firm lawyers can help you pursue compensation for your medical bills, wage loss, pain and suffering and other hardships you have endured due to a dangerous drug. Contact the Finz firm today by telephone at (855) TOP-FIRM or by filling out the Free Defective Drug Case Evaluation form now, and an experienced New York defective drug lawyer will review your case without any cost to you. MedWatch, an organization operated by the U.S. Food and Drug Administration (FDA), investigates and regulates the safety of today's drugs. However, reporting of adverse drug reactions is voluntary and doctors do not always report all symptoms or incidents to the FDA. Although pharmaceutical companies perform clinical trials and tests on prescription drugs before they are approved by the FDA, many drugs can cause serious injuries and even death. Often, pharmaceutical companies aggressively market their drugs without adequate testing and despite their knowledge of the adverse side effects the drug may cause. 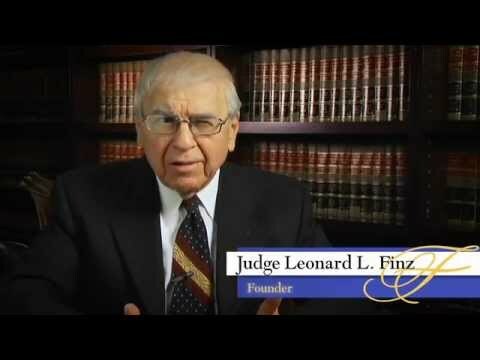 The Finz firm attorneys handle a wide range of defective drug lawsuits. According to findings published in the Journal of the American Medical Association (JAMA), 51 percent of drugs that were initially approved by the FDA had major adverse effects that were not disclosed or detected until after the general public used them. In many cases, FDA-approved drugs are recalled due to reports of death or serious adverse effects by users. If you, a family member or a friend has suffered an injury or illness as a result of taking a defective drug or supplement, call an experienced New York defective drug attorney at Finz & Finz, P.C., now toll free at (855) TOP-FIRM to speak with a defective drug litigation lawyer or simply fill out the Free Case Evaluation form. August 20, 2018 | Finz & Finz, P.C. The Food and Drug Administration (FDA) has cracked down on Bayer’s controversial birth control device, Essure, after repeated reports of the device migrating or causing other significant side effects. Though the FDA initially approved the device in 2002, the government agency is now requiring Bayer to conduct further safety tests. March 30, 2018 | Finz & Finz, P.C. Every once in a while, a pharmaceutical company will release a drug dangerous enough to draw national attention. Whether it be Zoloft causing significant birth defects, Paxil being associated with suicidal ideation, or Ambien causing people to do dangerous things in their sleep, these cases temporarily remind the American public of how dangerous a medication can be. But these major incidents actually understate the scope of the problem. March 09, 2018 | Finz & Finz, P.C. Hundreds of thousands of Americans have been prescribed opioids over the last twenty years on the promise that these dangerous drugs provided significant pain relief, particularly for chronic pain. Millions of Vicodin and Oxycontin have been dispensed, and now Fentanyl patches have caused hundreds of deaths across the country, ravaging communities in many states. December 08, 2017 | Finz & Finz, P.C. Supplements have been all over the news for the last year, mostly regarding whether or not the substance indicated on the packaging is even in the product you are buying. The Food and Drug Administration gives manufacturers broad leeway on regulation, and will only step in when consumer fraud is all but proven even without their investigation. All too often, what you think you are buying is not what you are getting. September 15, 2016 | Finz & Finz, P.C. Depression and mood disorders affect millions of Americans every year and the numbers keep growing. Anyone can suffer with depression, even one of the biggest rock stars on the planet. Legendary rocker Bruce Springsteen reveals in his new book that he has struggled with depression for a number of years and how he tries to keep a handle on the demons getting the best of him. October 21, 2014 | Finz & Finz, P.C. You rarely hear or read about it, but it seriously affects the health and welfare of thousands and thousands of Americans. It can have almost no symptoms, and yet lurk in your system just waiting for the worst possible time for a clot to break free. It can cause stroke or even death. And for too long, the only treatments for deep vein thrombosis have carried very high risks. July 28, 2014 | Finz & Finz, P.C. The rash of school shootings and other acts of violence that has rocked the United States is a terrible tragedy. As human beings, we seek to make some sense of things, but it seems the few answers we find just lead to more questions. After Columbine, we thought addressing school bullying was the answer, only to discover that many of the perpetrators don't fit the traditional model of a bullied teen. Politicians constantly fight over how to handle these situations. Some believe that gun control is the answer. Others believe that the culture of American has to change. Despite all this arguing, we seem no closer to an answer than we were at the beginning. July 10, 2014 | Finz & Finz, P.C. The commercials are on every football game, giving a name to a long-time struggle for many men. Low-T was unheard of for decades, but now is coming closer and closer to being a household term, just as happened with ED after Viagra became heavily advertised. For many red-blooded American males, the only option they see for dealing with diminished testosterone is to go on a supplement or take one of the medications they see advertised every Saturday and Sunday. June 27, 2014 | Finz & Finz, P.C. Being diagnosed with Type II Diabetes is a terrifying experience, especially once your friends and families start sharing stories of people they knew who lost limbs or went blind because of the disease. There are also the degenerative nerve conditions which often accompany the affliction. June 12, 2014 | Finz & Finz, P.C. The National Football League has grown to be the biggest sports league in America, firmly overtaking baseball, basketball, and hockey. Kids everywhere grow up playing the sport, and the Super Bowl is usually the most watched television of the year. Millions of Americans skip church and other activities to watch nearly ten hours of football every Sunday, with three more hours on Monday and some Thursdays. Trial by jury was established by King John of England when the monarch affixed his royal seal to the Magna Carta in the year 1215. In part, the historic document advanced the proposition that a subject of the Crown involved in a court dispute would be judged by a jury of “his peers”. This lofty principle was later adopted by our new nation following the American Revolution. Thus, being “tried by a jury of one’s peers” is so time-honored as to be etched into the fabric of American jurisprudence even to this day. December 23, 2013 | Finz & Finz, P.C. From October to January, many struggle with maintaining or losing weight during this festive holiday season. Overeating and drinking are out of control and we jump on any bandwagon in January to combat the extra pounds we’ve accumulated during holiday indulgences. With weight-loss choices ranging from organized meetings to magic energy bars and diet pills, we pick the one that will take of the weight quickly, but not necessarily safely. Defective Drugs: Are They In Your Cabinet? June 04, 2013 | Finz & Finz, P.C. The United States Food and Drug Administration issues warnings when they uncover cases of defective drugs, and urge manufacturers to stop production and distribution of these drugs. But, what about some of the drugs that we still have in our homes whose side effects are not severe enough to pull off the shelves, yet are still serious enough to cause concern? A recall occurs when the side effects are severe enough to prove fatal in multiple cases. Yet, some of the manufacturers stand firm and continue to make their drugs available for consumers. Continue Reading: Defective Drugs: Are They In Your Cabinet? January 07, 2013 | Finz & Finz, P.C. Lisinopril, statins, various birth control and fertility drugs. The list goes on. Do these sound familiar to you? We take the advice of our doctor who prescribes these and other drugs after our annual check up. We renew the prescription every time and don’t pay much attention to the warnings on the enclosed materials. That’s our doctor’s job, right? How hazardous are the drugs we are taking and is there anything that can be done once we’ve started putting them into our systems?